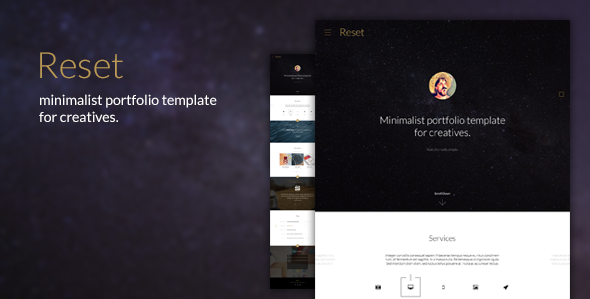 Reset is a minimalistic responsive template. 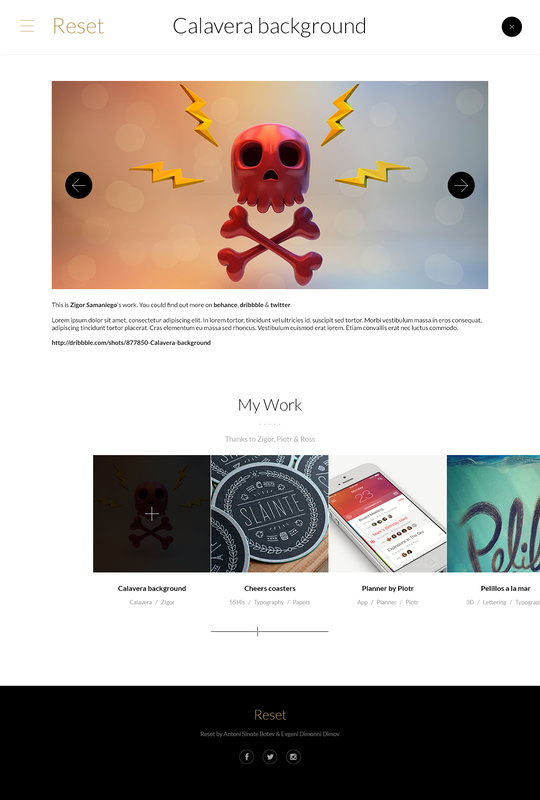 It is retina ready and has everything you need to present your work. Unnecessary things are cut out. All of them. I’ve included the .less file, used in the template. You can change the color accent, just with a touch of one variable. Of course, if something comes up – Reset comes with awesome support, just register on our support forum. We are currently working on the WordPress version! Follow me and find out when it’s out! Huge thanks to Zigor, Piotr and Ross for letting me use their presentational work for the demo site.